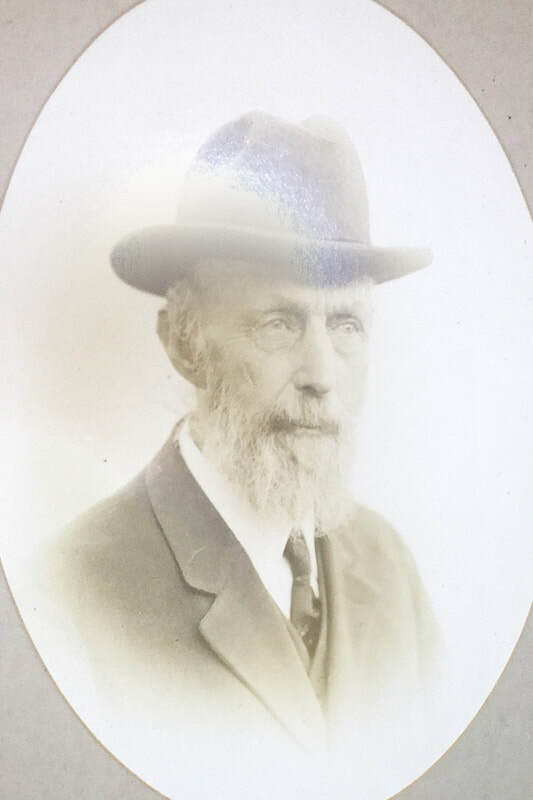 On Wednesday, December 12th, 1866, a meeting of eight Masters who lived in the vicinity of Closterfield took place at the house of John H. Stephens. For that meeting WB Robert Rich of Rising Star Lodge No. 450 of New York and John Stephens of Wawayanda Lodge No. 313 of Piermont were elected President and Secretary. Others present were John Naugle, David Naugle, William Ferdom, William Linderman, David Lozier, all of Wawayanda, and Stephen Hyde of New Hope Lodge. A motion was made to seek permission from Pioneer Lodge No 70 of Hackensack to make a request to the Grand Lodge of New Jersey for a charter of a new Lodge to be located in Closter and to be called Alpine. At the same meeting WB Rich was named WM, Bro Lyman Holman SW, and Bro John Stephens JW. On January 8th, 1867, WB Rich and his Wardens presented the degrees of freemasonry before Pionner Lodge No. 70, and permission was granted to make the application for a charter, which was authorized unanimously in the Grand Annual Communication, which took place in Trenton on January 12th, 1867. A meeting of charting members was held right at that moment, at the convention hotel; committees were appointed to ensure a meeting place, stablish by-laws, and secure the cost of books and furniture. On Thursday May 23rd, 1867, a special communication was held, with the attendance of the Grand Master of the GLNJ F&AM, MW Silas Whitehead, and RW William Meade as Grand Marshall. The ten charter members were present and applications were received from five candidates. The first regular communication of Alpine 77 was held on June 6th, 1867: the authorities of the Lodge were ratified, statutes were approved, & trustees were elected. A property of John Stephens was rented to be the Lodge Room at $ 100.-per year, and the trustees were authorized to borrow $ 200.- to cover current bills. The first candidate, Br. Hand, received his EA Degree at the second meeting, on June 20th, 1867, and Br. Sam Gecox, who was also a member of Washington Lodge No 21, New York City, applied for affiliation. Brothers Gecox and Anderson were elected members on October 24th, 1867. As we see by the dates, communications were also held on Thursdays, every two weeks, instead of second and fourth as it is nowadays. Bro. Stephens presented the Lodge with a Bible on December 5th, 1867. The seal of the Lodge appears in the minutes of April 23rd, 1868. The first financial report appears on December 1st, 1870. Before entering into the movements and fusions that led to the current name Alpine Tilden Tenakill, and enriched the lodge, it is convenient to briefly mention the origins of the Lodges that gave birth to the said proud current denomination. 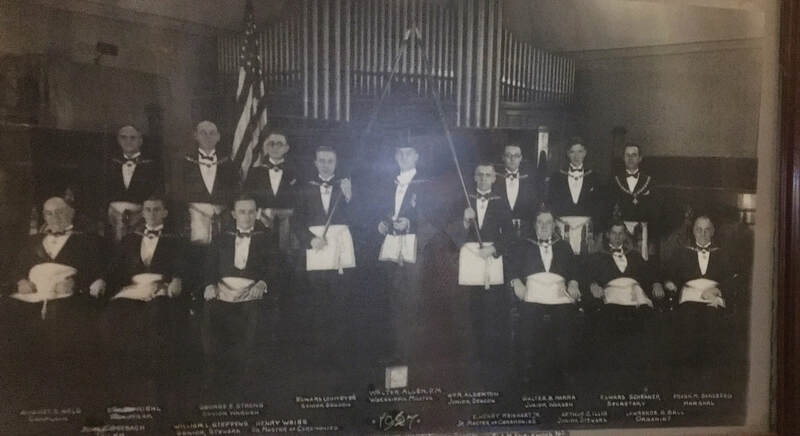 Tilden Lodge 183 of Dumont was established on March 22nd, 1906, and before its merger with Alpine 77, it fusioned with Teaneck Lodge 274, which was born on April 18th, 1929. On the union between Tilden Lodge 183 and Teaneck Lodge 274 it was decided to keep the name and number of the oldest, Tilden 183.
the merger between Alpine 77 and Tilden 183 was consolidated. On that meeting Tilden Lodge 183 was represented by its WM Kenneth R. Dobrick; and Alpine 77 by its WM Paul C. Zorn and its SW Kurt H. Profe. On the other hand, Tenakill Lodge 266 and Daniels Lodge 269, both were constituted on a Masonic ceremony in Englewood, May 7th 1927, the last honoring the memory of recently passed to Ethernal East MW Brother William L. Daniels. The further merger between Alpine Tilden 77 and Tenakill 266 was announced in the GLNJ 202nd Annual Communication, in Wildwood, April 13th, 1989, giving rise to the current name Alpine Tilden Tenakill Lodge 77. For the occasion Alpine Tilden 77 was represented by its WM Warren G. Kuhle, plus James A. Cherry Jr. SW, Joseph J. Anthony JW, and 6 Past Masters; while Tenakill Lodge No 266 by Raymond A. Waters WM, John F. Hedderich Jr, SW, Robert M. Abrahamsen JW, and 3 Past Masters. Finally at the 273rd Annual Communication in Atlantic City, on April 18th, 2008, the GLNJ F&AM approved the merger of William L. Daniels Lodge 269 with Alpine Tilden Tenakill Lodge 77. William L Daniels deserves a separate chapter dedicated to his memory and his impact for the good of our NJ Freemasonry, not only for having given name to a Lodge and to our Temple, which is obviously a consequence of his righteousness and the brotherly love he spreads and inspires, but in honor to an extraordinary man, whom we proudly as well call our Brother. of the State of New Jersey´s Masonic history. Born in Massachusetts in 1862, he was a merchant by trade who moved to NJ. 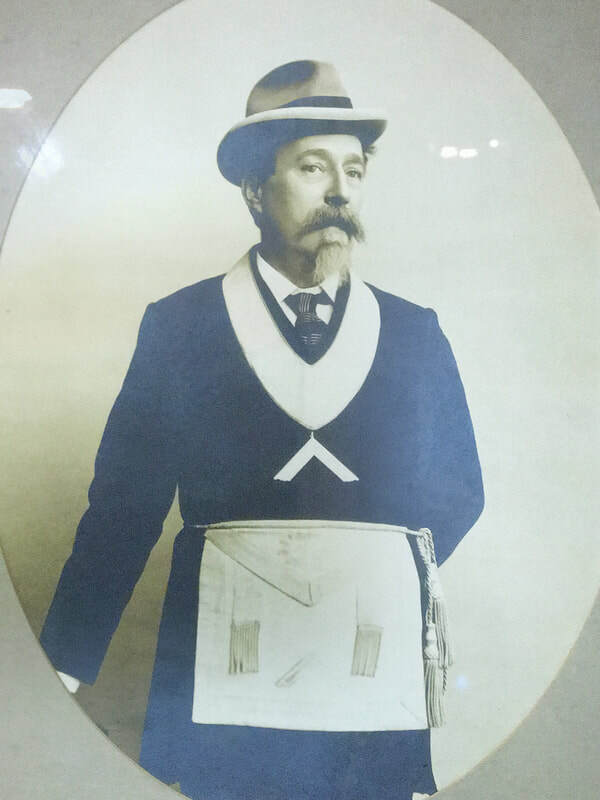 where seven years later he served as Worshipful Master. In 1919, he served as Grand Master of the Most Ancient and Honorable Society of Free and Accepted Masons for the State of New Jersey. He passed to the lodge on high on January 1st, 1927. Three months after his passing, on April 21st, 1927, honoring his memory, the Grand Lodge of New Jersey issued a warrant for the constitution of William L. Daniels Lodge No. 269, and on an special meeting that took place two weeks later in Englewood, on may 7th 1927, it was officially constituted. As mentioned before, on its 273rd Annual Communication in Atlantic City, April 18th, 2008, the Grand Lodge of New Jersey approved the merger of William L. Daniels Lodge 269 with Alpine Tilden Tenakill No. 77. On April 10th, 2008, the Brethren of Alpine Tilden Tenakill Lodge voted to rededicate it´s lodge room in honor of MW Brohter William Louis Daniels and the proud lodge which carried his name for almost eighty years. For the occasion, William L. Daniels Lodge Room, was fully renovated concluding the works on November 12, 2009. The ATT77 William L Daniels Lodge Room Renovation Committe Members were RWB Joseph Bianchi, RWB Clive Pearce, RWB Andy Freda, RWB Jack Janssens, WB Tom Fischetti, WB John Bautz, WB Ted Charalombous, and Brethren Jack Racich, Alan Layne, Brian Shwartz, Mario Bianchi, Gerry Naylis, Bernie Golden, and Greg Polandick.